To some the South African born Ecca Vandal might appear to be a riddle, which might be due to her giving a toss about label and categories and instead confidently channelling a maelstrom of influences into a mélange of her own. Chuzpah, catchiness, swagger and her personality form the foundation upon which her brash electro-punk / hip hop emissions complete with striking DIY attitude is based, with an immense talent to infuse each track with coherence and consistency despite a myriad of sounds that find their way into it. Being an astute lyricist does not hurt either and help to sneak in serious messages into uplifting tunes – the medium is the message and her revolution can be danced to. An example par excellence that toughness does not have to go at the expense of femininity and gritty down-to-earth style not at the expense of glamour. 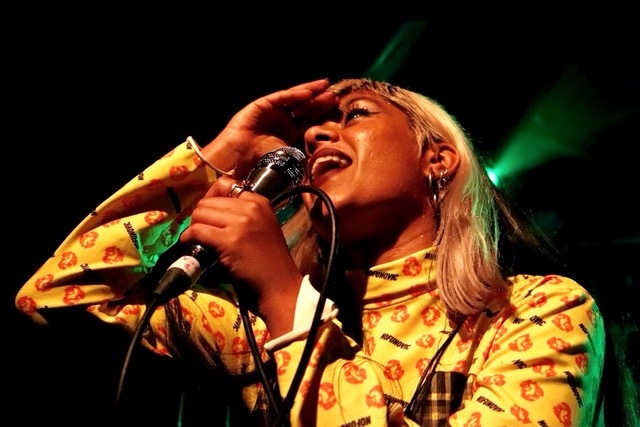 By challenging expectations, a healthy disregard for stereotypes and being an avid advocate for diversity while making sure that the party aspect is inherent in every song, her live incarnation makes for quite an engaging, inclusive and enjoyable experience – especially when Ecca draws on more intricate vocal patterns which help to translate dynamic energy of their tracks live. 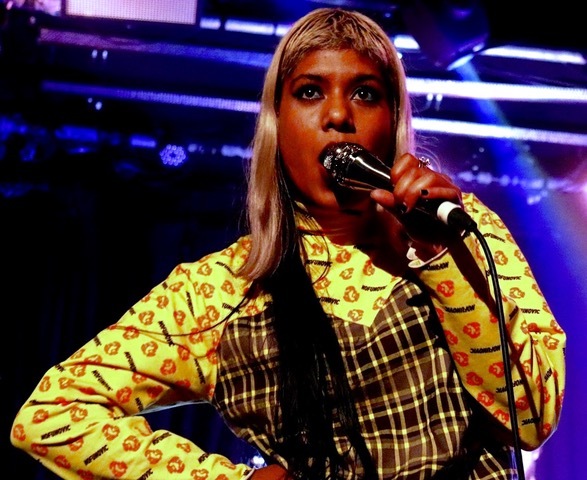 Safe to say that bigger stages await – so make sure that you get to catch Ecca Vandal in more intimate environments before the mainstream will inevitably catch on and elevate her into different scenarios.